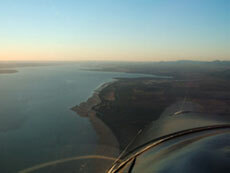 Welcome to Pro-Sky Port Augusta. Here at Pro-Sky we endevour to provide the very best of flight training under the administration of Recreational Aviation Australia (RAAus). Our aircraft and facilities are top class and our instructor has over 30 years of educational experience as well as over 25 years of instructing experience in both gliding and Recreational aircraft. Every effort is made to cater for the individual training needs of students whether they be interested in learning to fly or in becoming instructors themselves. Our weather and flying conditions are superb with views of the Flinders Ranges and Spencer Gulf and more sunshine per year than the Gold Coast. 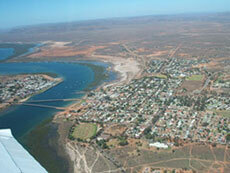 Port Augusta offers varied cost accommodation or you can live at our facilities at the airport by arrangement. Contact us - You will not be disappointed! (C)2005 - Powered by Mambo - Designed by MamboTheme - Mambo professional templates!